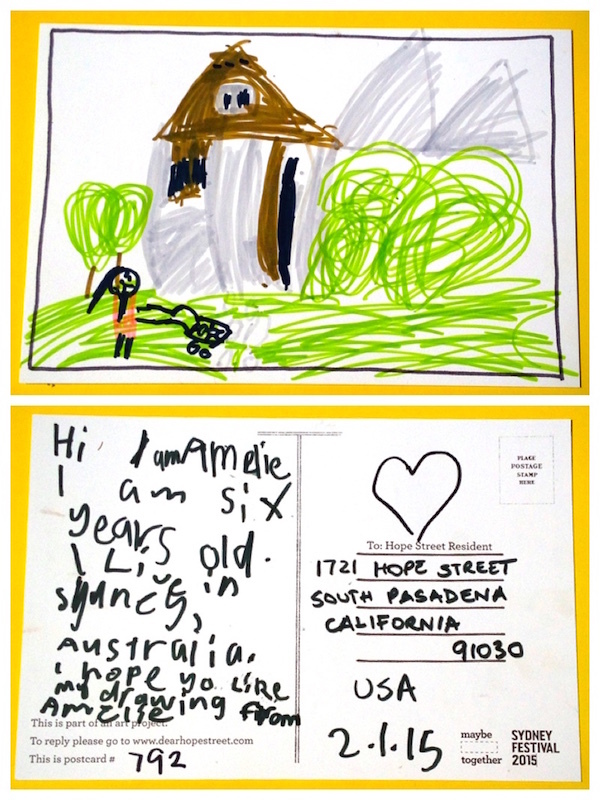 Dear Amelie, I enjoyed receiving your post card all the way from Australia. I like the picture that you drew of the house and mom with a stroller (or a girl with a doll?). I like that I got to be part of an art project with you!! Dear Barbara, I was very excited to get your reply. The picture I drew was of your house, and there was a mother walking her baby in front of your house. I made the postcard with my mum. I hope I will go to America one day, and maybe I might see you there. Each week I learn tap dancing and the flute, and I play the recorder at school. Best wishes from Amelie.